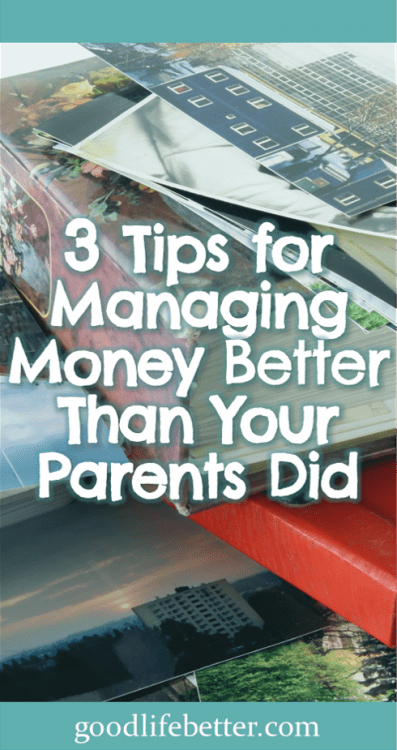 3 Tips for Managing Money Better Than Your Parents Did | Good Life. Better. Whether we are aware of it or not, the behaviors we observe as children influence how we act and react as adults. Sometimes it works in our favor: my dad, for example, modeled continual learning when he read his Popular Mechanics magazine from cover to cover each month. Other times—when it comes to managing money, for example—it does not. Growing up, my parents fought a lot and most of the time the fights were about money. Back then, it wasn’t possible to manage your account online (I know it’s second nature now but remember it is a relatively new phenomenon) so if my dad cashed a check and forgot to write it down in the checkbook, it would create problems that wouldn’t be uncovered until the statement came in the mail. Weeks could have passed by then, which meant the number of bounced checks would have multiplied resulting in a lot of fees and a lot of work to get it sorted out. In addition, neither of my parents was very good when it came to spending. They weren’t extravagant, but a large number of small purchases can quickly add up and overwhelm the combined salaries of a school teacher and a factory worker. When my dad died when I was 15, my mom got his 401k and the life insurance. I don’t know how much there was but she once said something about everything totaling around five times his salary. This meant we weren’t destitute but also that my mom only had so much time to adjust to living on less (or to figure out a way to earn more) before the money ran out. As a school teacher, a huge raise was unlikely so the responsible next step was to cut back on spending. You can imagine what happened instead. While we didn’t go on a full-fledged spending spree, the grief we felt colored how we perceived the money. Before dad died, we had this great human being in our lives. After he died, we had money. This made it difficult to keep everything in perspective and—given what was by now a family propensity to live beyond our means—let’s just say there were many trips to the mall in the years that followed. The purchases didn’t bring him back but they did make it seem like he was still a part of our lives. Money was a source of stress and anxiety. 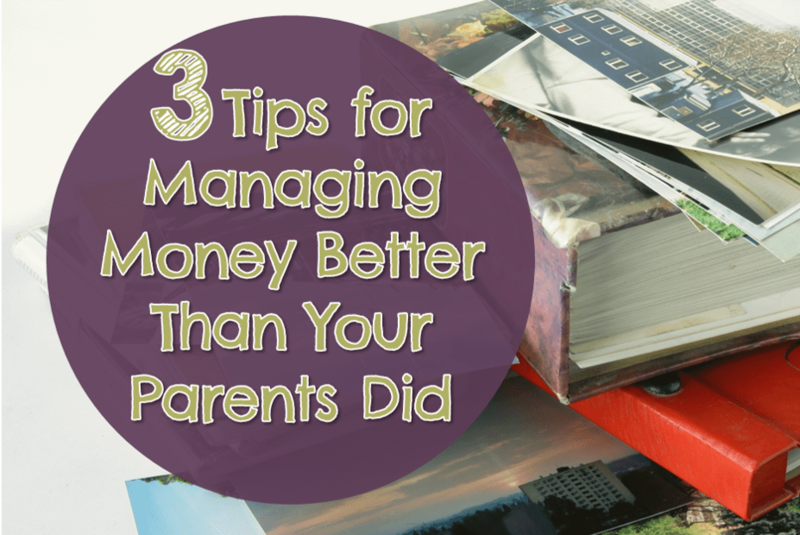 Managing money was hard and you were likely going to fail. Spending money helped numb feelings of grief and sadness. Thankfully, these beliefs are (mostly) part of my past. With a lot of work—and a little luck—I have been able to create a better relationship with money than I learned from my parents and you can too. One way to change your approach to money is to find new role models. They can be someone famous like Dave Ramsey or Suze Orman, or someone closer to home. In my case, it was the parents of a close friend (and people like Dave Ramsey and Suze Orman). I spent my junior year of college in England where I met a very good friend of mine (who remains a good friend to this day—XOXO!). His family was kind enough to let me stay at their house on weekends and during school breaks, so I got to see first-hand how his parents spent their money. One of the first things I noticed was that unlike my family they rarely ate out. Even if they planned a day trip to the coast, they would pack sandwiches and drinks. I also noticed that they didn’t buy new clothes just to have something new to wear. If they needed something, they would buy it but otherwise they would stick with what they already owned. And my friend’s mom knitted so she would often make her own sweaters. While my forays into knitting were a disaster, modeling their approach to money has served me well during my debt snowball. I am eating at home the majority of the time and have really cut back on my spending, leaving me more money I can use to pay down my debt. My friend’s family modeled that it is possible to spend less while still having fun. The amount of personal finance advice out there is way more than any one person could consume in a lifetime. While this may at first seem like it is a negative, it is actually a good thing. With so many option, you will likely be able to find the voice that works for your goals and personality. If you like an entertaining, tough love approach like I do then I would recommend turning to the likes of Dave Ramsey and Suze Orman. Their stories are super compelling, and they aren’t afraid to tell you that you need to stop doing stupid stuff. If being confronted with all the bad decisions of your past is the last thing you would find motivating, seek out someone who is going to hold your hand and keep you focused on whatever the next best step is. This type of advisor will help you avoid getting bogged down in the “should have/could have/would haves” as I like to think of them and look to the future. How do you know who is right for you? Trust you gut. Who have your read or listened to or watched in the past that actually made you want to do something different when it came to your money? Go back to that person and see what else they have published. After identifying your new role models and learning what to do to manage your money, the next step is to implement. Contribute to your employer-sponsored retirement plan so that the money comes out before it hits your bank account. If you don’t have access to a plan, then set up an automatic transfer that happens the same day you get paid. Pay any bills that need to get paid from that paycheck the day you get paid, even if they aren’t due yet. This will ensure you don’t spend the money on something else or forget to pay the bill (which will affect your credit). If this leaves you with a depressingly small amount in your checking account, that can serve as motivation to make more money (or to get rid of debt and free up more money). On payday, withdraw the amount of money you have for the week in cash and then put your debit card back in your wallet. 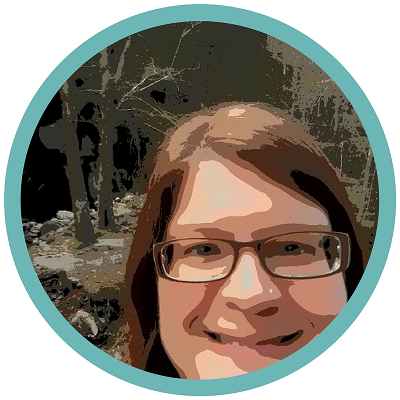 Like many before me, I have found using cash helps me stay focused on not overspending while I am working my debt snowball (you can read more about it here: Creating a Plan for Your Money). If giving is a goal, automate it too. My employer allows me to set up automatic donations and I have taken advantage of this for many years. Donating to certain causes is very important to me but if doing so required me to write a check or log in to a site and enter my credit card information, I would be much less likely to do so. By automating it, I achieve my charitable giving goals without having to think about it more than once a year. 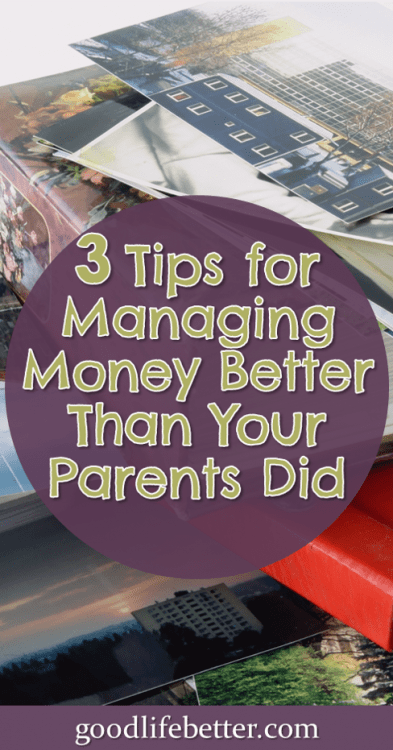 Do You Manage Money Better Than Your Parents? What did you learn from your parents? Let me know in the comment section below. Sometimes we don’t realise how much our behaviours and well being are influenced by those we spend significant amounts of time with – whether it’s friends, family or co-workers. Sound advice to always be on the look-out for those who model behaviours we can learn from, and carry forward into our own lives. Thanks for sharing your thoughts and ideas. Great article! Growing up, my parents didn’t speak much about their finances, but I knew it was always a pain point. With my son, I’ve made it a point to be more transparent and teach him how money works and how to manage it. That’s great! I’m sure helping him establish a good relationship with money now will benefit him down the road. Thank you for sharing!